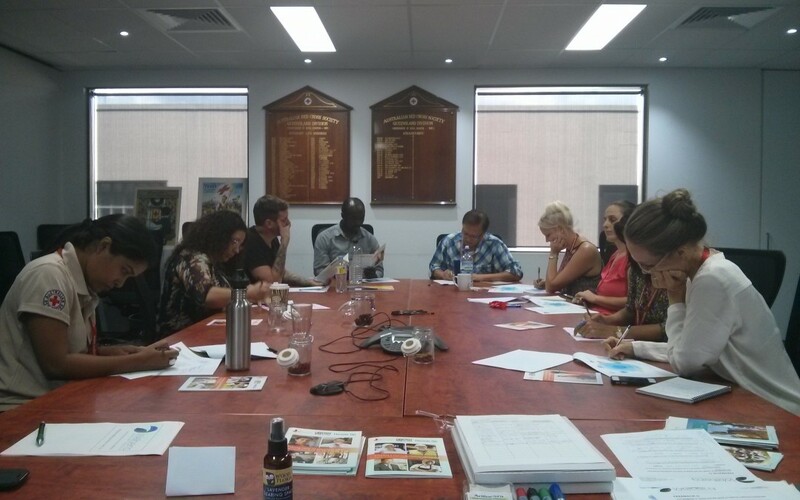 A second successful Wellbeing workshop was held at Humanity Place in Brisbane last week for Australian Red Cross Community Service Workers. The 5 Realm Wellbeing model I have developed for identifying and implementing Wellbeing strategies for Community Service workers and the organisations they work in was once again tested out by another group of interested and very keen Red Cross staff. By the end of the morning everyone had developed their own Wellbeing Action Plan. The workshop included exploration and discussion on what Wellbeing looks like, how this manifests in the workplace and what barriers present. Very specific issues were identified for those working in community services roles. Working with individuals and families with very complex needs requires workers to have a consistent level of wellbeing to sustain this type of complex work with clients. This is one of the reasons I have developed the Wellbeing model, as I believe this to be a practical and effective tool for community service workers to build the resilience and increased wellbeing needed for the important jobs they do. The workshop participants explored each of the 5 Realms of the model, which are based on holistic concepts and also the research done by NEF, who were commissioned by the UK Government to identify a set of evidenced- based actions to improve wellbeing a few years ago. I included some simple self-help techniques and exercises throughout the workshop that people found very useful (the super food snacks were popular!). Everyone provided really helpful feedback so I can keep improving the model. Thanks to all who came along and also to Red Cross in Qld for supporting the workshop.